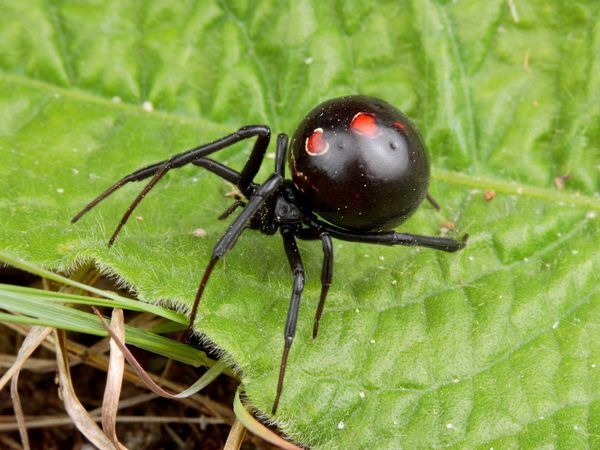 You are here: Home » Acetylcholine , Spider , Toxins » Botulism poisoning and black widow spider bites!!! Botulism poisoning and black widow spider bites!!! The reason I mentioned the botulism poisoning and black widow spider bites is the same sentence because these two condition effect the body in the opposite way. I mean in botulism poisoning which is a poisoning produced by the Clostridium botulinum bacterial toxins - mainly food borne - that will enter your body and your nerve cell endings. They will then attack the proteins which are responsible for fusing the vesicle which contains acetylcholine with the nerve ending membrane and subsequently DECREASE the release of acetylcholine to the synapse. So in these patient there is no acetylcholine release and they will be flaccid and in most of the cases die because of respiratory failure. 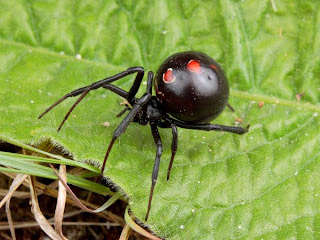 While the black widow spider venom which is called latrotoxin, works by increasing the binding of the acetylcholine vesicle to the nerve ending membrane and subsequently INCREASE the release of acetylcholine to the synapse, and these patients will suffer from cholinergic crisis and they will present with lacrimation, salivation, abdominal cramps and bradycardia... blah blah etc.